MMR mold stain remover, from FastMoldRemoval.com, quickly and thoroughly removes mold stains from contaminated building materials. In late October of last year, Hurricane Sandy left a path of destruction along the coasts of both New Jersey and New York. A number of the homes and businesses were severely damaged by the historic storm that resulted in billions of dollars of property damage. In January of this year, a new initiative administered by the Neighborhood Revitalization NYC (NRNYC) was announced to coordinate mold treatment in some of the hardest hit areas. These mold treatment services are being performed at no cost to eligible homeowners by private contractors and not-for-profit organizations. Mold remediation contractors have been hard at work helping people rebuild their homes and businesses all winter long. With spring starting this week, many water damaged properties that have not yet been remediated are likely to see a rapid increase in mold growth due to warming temperatures. To help private contractors, property owners and volunteers address microbial growth in these structures, FastMoldRemoval.com has been busy providing information about mold removal techniques and products to the administrators of NRNYC and all those involved. To learn more about MMR mold stain remover, microbial disinfectants, and the tools and personal protective equipment (PPE) that can help to safely eliminate mold problems, please visit http://www.FastMoldRemoval.com, email mmr@moldsolutionsintl.com or call 708-441-7982. Mold Solutions, owner of FastMoldRemoval.com, is a Frankfort, IL, based company. They manufacture MMR mold stain remover, the world’s premier mold stain remover. 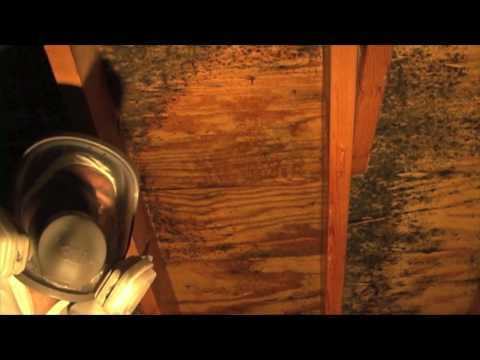 MMR is a commercial grade mold and mildew stain remover formulated to immediately eliminate mold and mildew stains present on wood and other hard surfaces. MMR penetrates soiled areas almost instantly, leaving surfaces clean and free from mold stains. The biodegradable product is manufactured weekly in the United States and shipped on demand to contractors, home owners, and building occupants. Through FastMoldRemoval.com, Mold Solutions distributes MMR, personal protective equipment, spray equipment and other mold remediation products.